Cliona’s foundation needs your help -this week Tesco have launched their community funding programme. 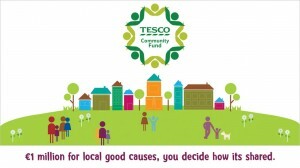 Every six weeks Tesco will donate up to €1,000 euro to support a good cause or charity working in the local community. Tesco are looking for people to nominate worthy causes to be put forward for funding – they will then put forward 3 charities from those nominated. Each time you shop in Tesco, you’ll receive a goodwill token which you can use to vote for the cause that means the most to you. Then every six weeks, money from the Tesco Community Fund will be shared out according to the number of tokens each cause receives. 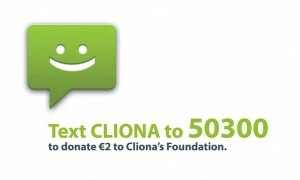 Cliona’s Foundation needs your help to be put forward as one of these charities. Please download the form here and drop it into your local store to nominate Cliona’s Foundation. Alternatively next time you are shopping in Tesco you can ask for a form so that you can nominate us. We would really appreciate any help that you can give us to get nominated and voted for.